Did You Know That…? 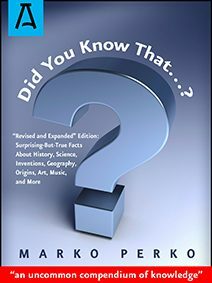 “Revised and Expanded Edition” is an uncommon compendium of knowledge that picks up where the original first edition left off . . . with surprising-but-true facts about history, science, inventions, geography, origins, art, music, and more . . . all the while presenting updated and new facts. Did You Know That...? is now in its fourth edition, and it will undoubtedly continue to inform, astound, and entertain as it has for more than two decades. 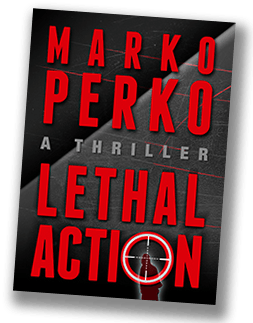 Lethal Action is the hyper-paced thriller that takes the reader inside the world of America’s most top-secret “lethal action” kill unit. It wears no military uniform; it has no identifying markings; and it is only known anonymously by the results of its lethal actions. Mysteriously decommissioned years ago, the President of the United States resurrects the kill unit to save his reelection by hunting down and destroying Allah’s Avengers, the world’s deadliest terrorist organization, before it unleashes a series of ominous terrorist attacks that will throw the world into complete chaos. At the same time, two rogue journalists seek to expose the president and the kill unit, but its leader has his own agenda: to find his kidnapped son, avenge his wife’s murder, and set the world right. He is on a crusade! Lethal Action demonstrates the power of a relentless, in-your-face narrative, complex characters, and shockingly factual scenarios . . . all of which result in a massive payoff for readers. So what is a “factoid” you ask? Well, most people think it is a small or incidental “fact.” But in truth, it is quite the opposite. The Oxford English Dictionary (second edition) defines a factoid as something that becomes accepted as a fact, although it is not true; a lie or half-truth, assumed to be a fact because of constant repetition in print, conversation, etc. 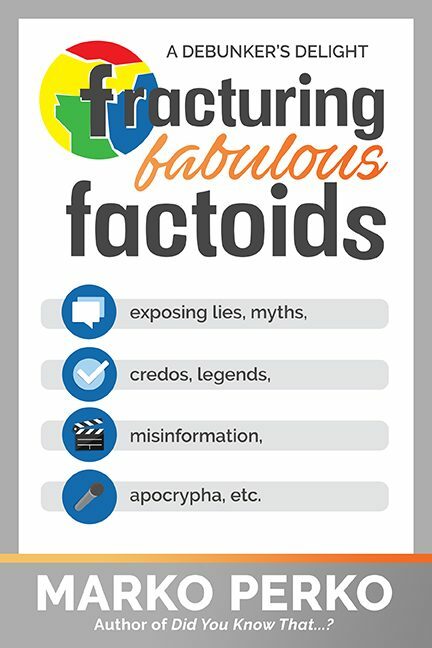 Fracturing Fabulous Factoids is a must read for everyone who wants to know the truth! Dr. Alexander Hakimian’s life is idyllic by any measure. Alec is a world-renowned brain surgeon, married to an intelligent and beautiful wife, and the father of a young, precocious daughter. But his life is profoundly transformed in a nanosecond when he receives a phone call from the director of the National Security Agency. The NSA has come calling for Alec because, as a former CIA deep non-official cover, or NOC, he possesses a unique skill set. The war on terror is threatening the lives of every American. Armed with a top-secret Executive Order from the president, Alec is tasked with ridding the world of one of the most dangerous terrorist organizations and its maniacal leader. Alec leads Operation Star 9, a clandestine black operations unit specifically assembled for the daunting task. They cross the great expanses of the Middle East in a relentless search for the Khamsin terrorist organization, named for the ferocious desert wind that blows across the region. It is led by the elusive al-Ankabut, or Spider, who weaves a web of death and destruction unparalleled in modern history, with worldwide Islamic hegemony as his ultimate goal. Facing a terminally terrorist-ridden world, Alec must track down the Spider and prevent his plans from coming to fruition at all costs. In KHAMSIN authors Marko Perko and Hrayr Shahinian take the reader through the maze of an intricately designed plot and subplots that twist and turn when it is least expected. Their deep understanding of the region and attention to detail enrich the reading experience page after electrifying page.